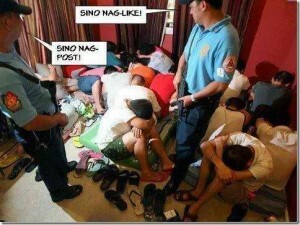 Conventional wisdom today would say that an assembly of bloggers is like cats and dogs put together in one tiny space. We are said to be too feisty and too self-centered to cooperate among ourselves. We value our personal freedoms so much that we cannot be trusted to work together in a common cause. Such conventional wisdom has been disproven each day and week for the past 5 years and the living reminder of fruitful and important collaboration among bloggers is the continuing project called BlogWatch, which officially turns five today, Nov. 24. At the #juanvote “Miting de Avance”. Photo grabbed from Blogwatch.ph. In the run-up to the 2010 presidential elections, bloggers from various categories came together for an election project like no other. The objective was simple: invite presidential candidates to an offline-online forum with bloggers, ask them questions and expose them directly to the then-growing online communities. And BlogWatch did it – with all presidential candidates, except for Joseph Estrada, taking time out to face BlogWatch and answer questions. It was by no means an easy feat. Reaching out to candidates, convincing them to take time out of their busy schedules, making them talk in front of the livestreaming cameras and answer questions from bloggers and the online communities. It sent a strong signal to candidates and parties that social media and citizen media have arrived, and that this new media is no push-over. Members of BlogWatch will later make history by being among the first non-journalists to be receive full media credentials for the 2010 elections, the 2010 presidential inaugural and the 2010 state of the nation address. 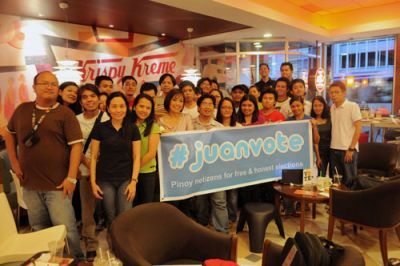 The dream of informing and empowering as many voters and bringing change to the rotten political-electoral system continues with #juanvote. Members of BlogWatch are also known to be one of the most dependable and most committed defenders of internet freedom in this side of cyberspace. If we could sleep soundly at night thinking that we would still be free to express ourselves in our blogs and social networks, it is partly because we have a BlogWatch whose members are internet freedom activists and would never surrender an inch of our freedom to those who seek to curtail it. They have been battle-tested in the fight against the Cybercrime Law: BlogWatch members joined and led alliances to challenge the Aquino law in court, spearheaded street protests, spoke in forums and on mainstream media and articulated the a most powerful argument for internet freedom — our first duty as bloggers and netizens is to keep the Internet free. Much work is ahead after the court sustained the Cybercrime Law, but we’re confident that vigilance will always win the day. 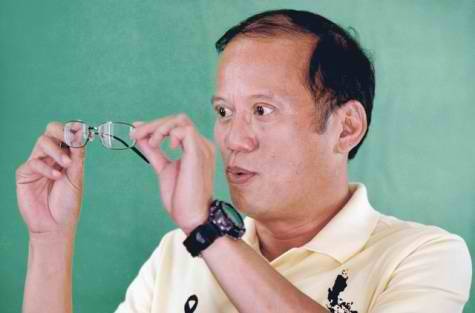 President Aquino was/is pork barrel king. When the history of pork barrel in the Philippines and how citizens defeated it in the form of PDAF and DAP is written, members of BlogWatch would be mentioned there not just as purveyors of information but also as active citizens who worked for its scrapping and abolition. Members of Blogwatch were part of the Million People March coordinating committee and providing fresh faces to street demonstrations. It was a shining movement for bloggers and netizens everywhere. BlogWatch is a community of bloggers and it is backed up by a community of readers. Its influence comes from the individual and collective creds of the brave people who comprise it, and from the project’s growing scope of work and coverage. From its humble beginnings to its present form, BlogWatch has gained the respect of the blogging community and gives back to the blogging community by making itself a laboratory for ideas, a training ground for citizen media, and a showcase of what cooperation and collaboration could achieve. 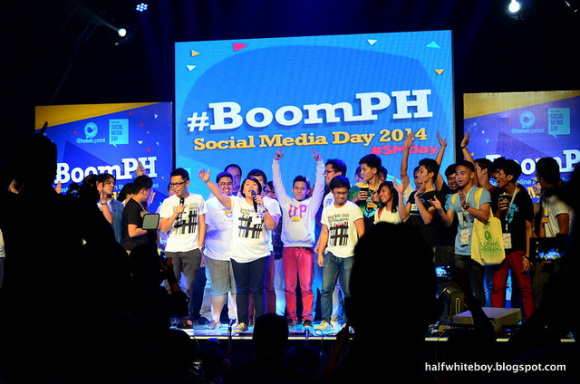 My colleagues in TweetUp MNL are always proud and humbled to work with BlogWatch in cross-community celebrations and we thanks Noemi and Jane for taking important roles in the Social Media Day celebrations of 2014 and 2014. Members of Blogwatch have always said that they never dreamed of going beyond the 2010 elections but they did. Despite limitations and challenges, BlogWatch continues its good work as the nerve center of citizen media efforts in the Philippines. It continues to be open to bloggers willing and able to write for their communities. It has kept crating the best and most exciting content to come out of bloggers and netizens especially at times we need to see beyond the clutter — like during disasters and calamities and in the middle of vexing national issues. In sum, five years later, BlogWatch is becoming a model for good citizenship online — defending freedoms all the time, using these freedoms to enlighten and to spur action, taking action whenever necessary, managing to get the most diverse voices to collaborate and cooperate, and never giving up the good cause. In my book, that’s the new conventional wisdom about Filipino bloggers and we thank BlogWatch for that.